A few months ago I wrote a wrap-up about Citrix Cloud gateway and the upcoming 2.0 release, it’s one of the posts on my blog that gets the most hits so I thought I should write a follow-up. If you are new to Cloud Gateway you should read my previous wrap-up first to get a better understanding of the architecture. In this post I’m going through the new features of Cloud Gateway 2.0 and things I came across when setting up a demo environment. All optional components are included in the current Cloud Gateway Enterprise edition, except for the ShareFile subscription fee and the Access Gateway Platform license (universal licenses are included). Citrix made a clever move by making Storefront services an optional component of Cloud Gateway, in this way they can sell Cloud Gateway as a separate stand-alone product, but on the other hand offer tight integration through Storefront for existing Citrix customers. I think the majority will use Cloud Gateway to extend their current Citrix back-end so Storefront will play a key role in most environments. 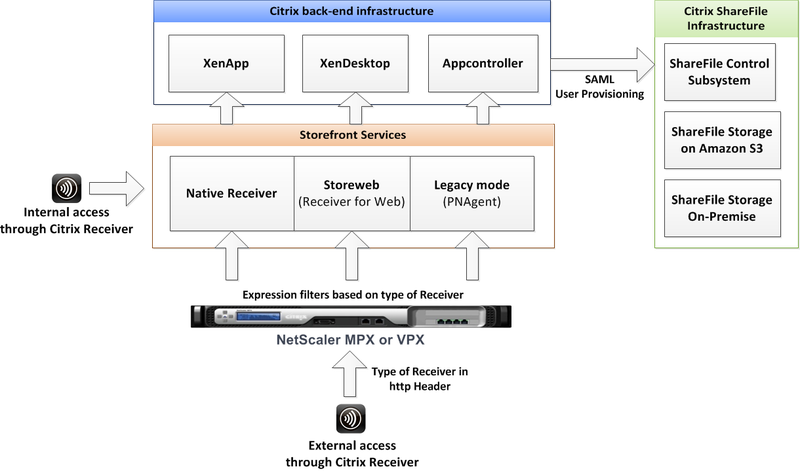 In the use case that Storefront is not used, Citrix Receivers connects straight to Appcontroller or indirect through Access Gateway to Appcontroller. This MDX features gives IT control and security over their apps and data, but at the same time gives the users the freedom to control their own mobile device. I think this is best for both worlds and it prevents that users are going to work around the system. Citrix will initiate a MDX Ready partner program to validate apps for use with MDX, Citrix self will release an MDX native e-mail app which runs inside the App vault container and doesn’t expose itself to other apps on the mobile device improving security. If you have a Netscaler MPX\VPX appliance you can enable the Access Gateway component and use it besides all other Netscaler functionality. The power of Access Gateway Enterprise IMHO is its flexible architecture, Access Gateway Enterprise fits like a glove in a lot of different environments and different access scenarios, because of its modular design. Since the Cloud Gateway release there are a lot of Access Gateway policies and profiles needed for different access scenarios and Receiver types, it will take some time to create and configuring them manually. To address this Citrix added a wizard (since version 10.0.69.6) which will create a baseline of policies and profiles for you. After the baseline is set you can still configure and adjust everything according your needs, so the wizard helps you with the baseline but there will be no compromise on the flexibility afterwards. Secure Browse is one of the features I’m most excited about, instead of leveraging CVPN or a Full VPN tunnel, the Receiver for IPAD uses a secure channel between Receiver and Access Gateway called Secure Browse (or MDX Micro VPN). Secure Browse provides secure session based access to internal webapps behind Access Gateway. Another cool thing about Secure Browse is that it’s using an embedded webbrowser (MDX Web Connect) to render both internal and external webapps controlled by Appcontroller. Web Connect is totally controlled by Citrix Receiver and doesn’t expose critical data on the mobile device, Secure Browse will support any webapp because there is nothing rewritten by Access Gateway so no more troubleshooting of rewrite policies and broken links. Secure Browse is currently only available on the Receiver for IPAD, other Receivers will still leverage a full VPN tunnel to provide access to internal webapps, but it’s expected that Citrix will extend Secure Browse to other Receivers as well. I tested Secure Browse with OWA and SharePoint and it works really well, I can’t wait to see this functionality on other Receivers to. In my previous wrap-up I talked about the difference between Receiver for Web and Webinterface, it’s clear that there are still features missing in Receiver for Web in comparison to Webinterface, but Citrix is closing this gap in upcoming releases of Storefront, in version 1.2 for example they already made some enhancements by separating Desktops from Apps and allowing user initiated desktop restarts. In this wrap-up I made a list of different functionality I noticed when using the Receiver for Web and the Native Receiver, please note that this list can quickly become out dated when updates of the Receivers are released. * When connecting with Receiver for Web through Access Gateway, the connection is always established through Access Gateway. In Webinterface it was possible to configure the connection method based on the IP range, Web beacons makes the decision based on internal and external URLs but this only works for the Native Receiver. So it’s clear that there are some functional differences between this Receivers, which one you should use depends on the functionality you want and the access scenario you need to provide. For example : If you want ShareFile integration besides published apps go for the Native Receiver, if you want to provide a (kiosk) access model for published desktops go for Receiver for Web. ShareFile is another element of Cloud Gateway i’m very excited about, if you integrate ShareFile into your Cloud Gateway setup, you can give your users a true follow-me-data experience on every device without compromising on security. IT can remotely wipe data from lost or stolen devices and data is stored in an encrypted format to further improve security. Data is also available offline with ShareFile sync. Besides follow-me-data ShareFile enables users to share (large) files with colleagues, but also with external contacts, you can trace who downloads files or control the amount of downloads. Besides that file versioning, drive mappings and Outlook integration are all features that are available with ShareFile. Some elements are comparable with other follow-me-data solutions like RES Hyper-Drive, which is also a nice on-premise follow-me-data concept from RES Software, because ShareFile is now part of Citrix there is a tight integration with Cloud Gateway and the Receivers. You can establish a SAML trust between Appcontroller and ShareFile to provide account provisioning, in this way your AD users are automatically created inside ShareFile, I noticed in my demo environment that this process sometimes take a while, so before you start troubleshooting wait a bit. Also be sure to create a role for ShareFile users inside Appcontroller, because if you select All Users, every AD account will be created in ShareFile consuming all your licenses (learned this the hard way). What’s very cool is that you can configure ShareFile to only allow authentication through Appcontroller and SSO, in this way users cannot connect to ShareFile directly further improving security. If SSO to ShareFile isn’t working please check the time settings on Appcontroller, if it’s a few minutes of SSO doesn’t work correctly, it took me some time to figure that out. With ShareFile storage zones you can control where data is stored, a Storage Zone can also be On-Premise, more awesomeness will come in feature releases of Storage Zones when we can connect ShareFile to existing CIFS shares and SharePoint environments, imagine the possibilities! Congratulations! you made it to the conclusion section 😉 sorry it was a bit of lengthy post but that’s because Cloud Gateway and surrounding technologies are a big deal and there is so much to cover. Cloud Gateway lets you aggregate and secure Cloud services and On-premise services into one logical logon point with the same look and feel on every device. Integration plays the key role in Cloud Gateway. I’m very excited about Cloud Gateway 2.0 and the upcoming features, on one hand its giving IT the flexibility and control over data, apps and security they need and on the other hand gives the user freedom to choose whichever device they like to use, I really think this concept is the future and I think it will change the traditional desktop as we know it today. Please note that the information in this blog is provided as is without warranty of any kind, it is a mix of own research and information provided by Citrix. 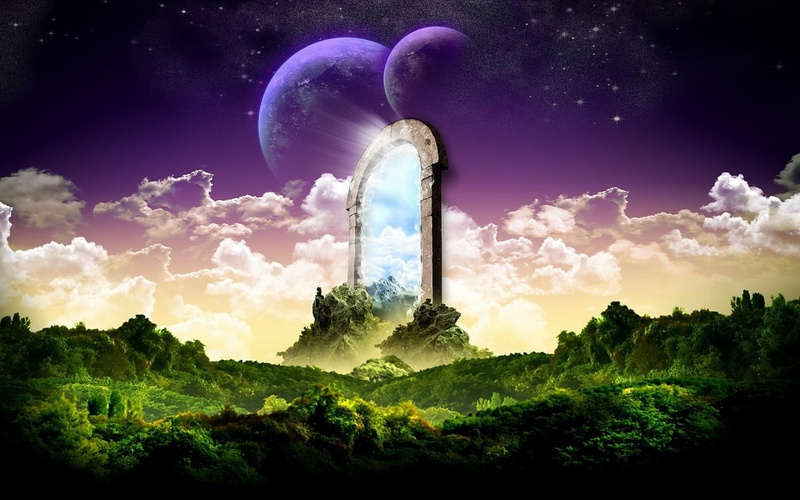 Some information is based on speculations and predictions.